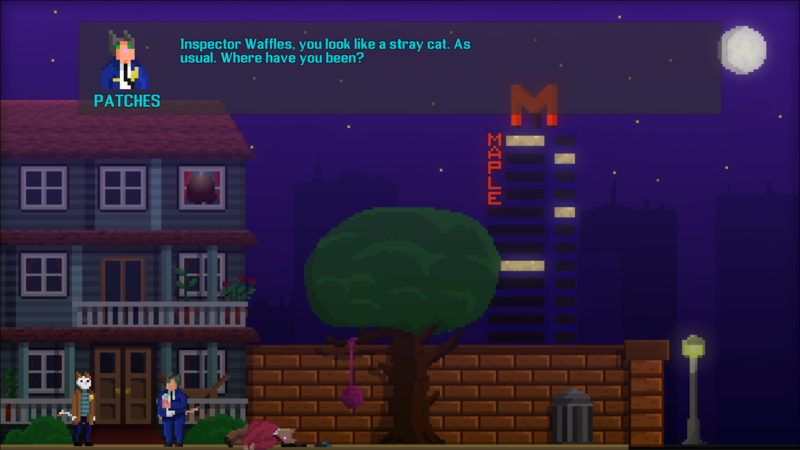 The 4.0 version of Inspector Waffles is on its way, The new inventory has been added, and the full game is in 16:9 resolution now. I don't remember why I started to make the game in 4:3 resolution. Maybe I was focusing on the nostalgic atmosphere, well ... that was a mistake. It took me some time to change all the backgrounds, but now it's done. And it looks definitely better ! I've changed the inventory and made it visible when you are not using it. Now you have a new UI item (a backpack with a round waffle on it), which let you open/close the inventory at your convience. It was also part of the 16:9 resolution update (saving space vertically). 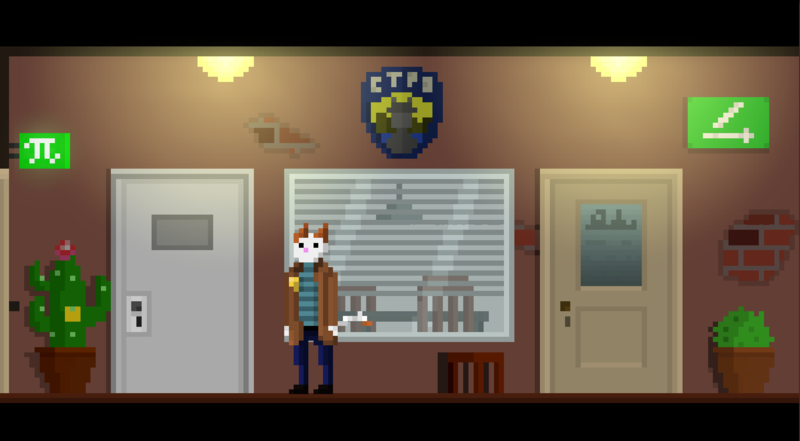 I've updated the first floor of the police station : there is a new room with an interrogation room, it was mandatory at some point of the story, and I didn't think about it when I created the police station backgrounds. My bad. Now it's fixed. I've started to work on the next scenes at Erwin's place. I can't tell you more at the moment ;) I hope to release the 4.0 version in october, but there is a lot of work to do (4 new locations at least + a map of CatTown). We'll see ! Version 3.0 is out !